Jay was born and raised in Bristol, CT., the son of Patricia and Jack Calnan. He has an older sister Dawn, and a younger brother Christopher, who passed away in 1989. As a youth, Jay played for the Forestville Little League, Midget Football and Babe Ruth Pony League and was a member of the Bristol Boys Club and St Mathews Parish. He attended Westwood Elementary School and then Bristol Eastern High School, Class of 1983, where he played baseball and Football, and was elected Captain of the football team his Senior year. Jay went on to attend Tufts University, Class of 1987, where he received his degree in Civil Engineering, with a minor in Management. He was a member of Delta Upsilon Fraternity, a four year letter winner on the Tufts Football team, and Captain of the 1986 New England Championship Football Team. 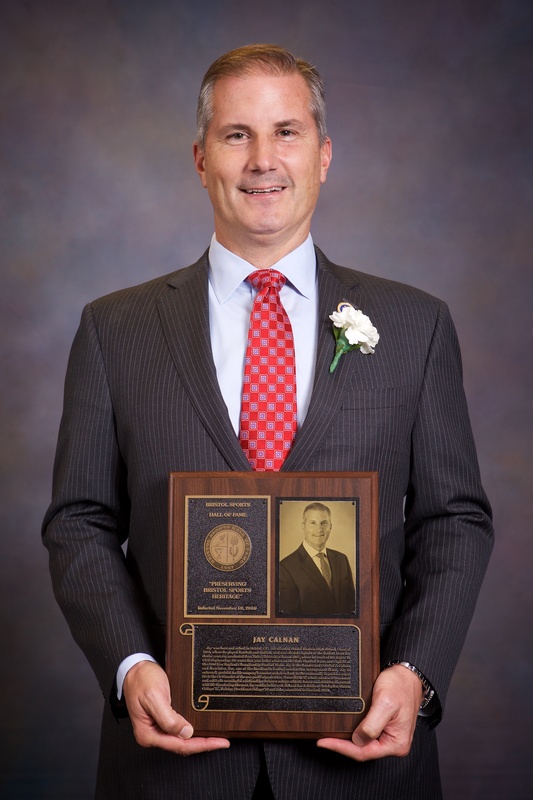 Jay is the founder and Chief Executive Officer of J. Calnan and Associates, Inc., one of the Northeast’s leading construction management firms. Since founding the company in 1996, Jay has assembled a team based on their level of professionalism and history of hard work, integrity and unselfish teamwork. Under his leadership, the company has been rated one of the Top 50 Fastest Growing Companies in the Boston Business Journal; the recipient of the Inc. Magazine Entrepreneur Award and has been involved with numerous award-winning construction projects. Jay is extremely grateful for his company’s success and gives back to the community in positive ways. He is the Co-Founder of the non-profit organization, Team IMPACT, whose mission is to connect and cultivate meaningful relationships between college athletic teams and children diagnosed with life-threatening diseases. In addition to Team IMPACT, Jay supports numerous other causes such as the Make-A-Wish Foundation, Champions for Children’s Hospital, Boston Scholar Athletes, Share the Magic Nutcracker Ballet, the United Way and The Jimmy Fund to name a few. As a result of his leadership in the community, JC&A has been recognized by the Boston Business Journal 10 years straight as one of the Top Corporate Charitable Organizations. He is an active member of several industry-related associations and affiliations and is also a proud member of the Athletics Board of Overseers at Tufts as well as the Presidents Circle at South Shore Hospital. Jay resides in Norwell, MA and has 3 children Christopher, Boston College ’17, Daintry, Providence College ’18 and Jake, committed to Harvard, 2022.